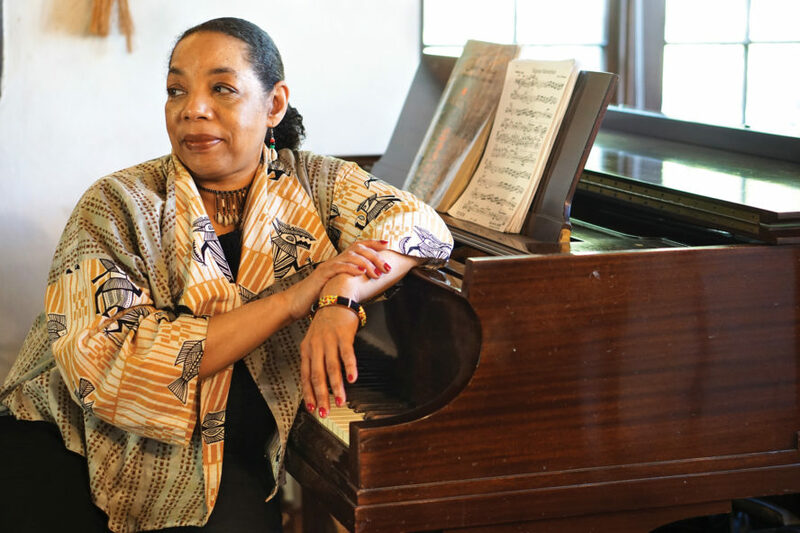 “The motivation, inspiration, passion and vision of Pamela Wise’s music comes from tracing the music of her African ancestors. Drum rhythms and patterns are the basis of her work, with a specific focus on West Africa, including Congo, Mali, Benin and Nigeria,” states Kresge Arts in Detroit, awarding Wise with the prestigious 2016 Kresge Artist Fellowship. Wise will perform original works from her latest recording, A New Message from the Tribe, with clarinet/saxophone guru and husband Wendell Harrison, the sultry, soulful, jazzy vocalist Naima Shamborguer, and a smoking Afro-Cuban rhythm section with Damon Warmack on bass, Akunda Hollis on percussion and Louis M. Jones on drums. Wise’s music and original compositions reflect her eclectic knowledge of the African diaspora, which includes many tribal rhythms from West Africa, the Caribbean and America, as well as the rhythms from South America and the Middle East, which have had a profound influence on America’s diverse culture. Wise’s music also depicts the legacy of the great female innovators of jazz, including vocalists Billie Holiday and Sarah Vaughn, pianists Dorothy Donegan and Mary Lou Williams. Saxophonist/clarinetist Wendell Harrison is one of Detroit’s elder statesmen of jazz, and a premier educator, performer, composer and jazz master. Recently, he was awarded a prestigious grant from Chamber Music America for his project Exploring Jazz and Its African Rhythms. This project was recently showcased in a three-day residency at the Detroit Institute of Arts. Longtime friend and co-writer, vocalist Naima Shamborguer, will join Pam as they will present some of their Brazilian flavored award-winning compositions from each of their CDs. A Motown treasure, Shamborguer has performed nationwide with some of the finest jazz masters, including Larry Willis, Geri Allen, Freddie Hubbard, Kenny Burrell, James Carter, Steve Turre, Rodney Whitaker, Wendell Harrison, Donald Walden, Dwight Adams, Marion Hayden and Marcus Belgrave. Percussionist Akunda Hollis, arguably the best conga player in the Detroit area, bassist Damon Warmack (2012 Detroit Music Award winner who has worked with the likes of Thornetta Davis, Harold McKinney, The Edge, The Spinners, KEM, Stevie Wonder, and Bob James), and drummer Louis M. Jones, III, an up-and-coming young phenom, will round out the rhythm section. Tickets: $50; VIP seating in front rows with additional leg room: $60. Purchase tickets here.